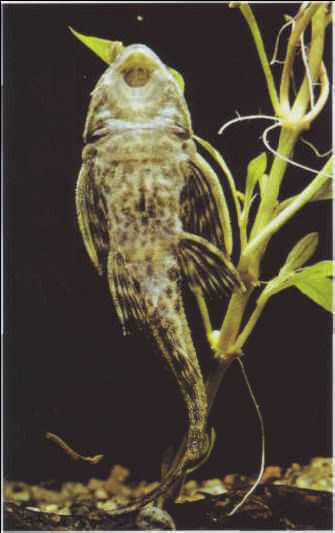 The pleco feeds on algae, spending the night on the bottom. Once it has reached a certain size, it can become invasive and disturb the decor, so it needs a roomy tank. Size: 20 cm. ХИРАГАНА , см. Японское письмо.